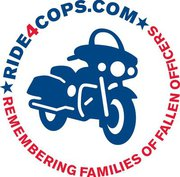 The Ride4Cops Program roared into Richmond on May 6, 2011 to raise awareness of the inherent dangers of law enforcement and the sacrifices made by the families of fallen officers. 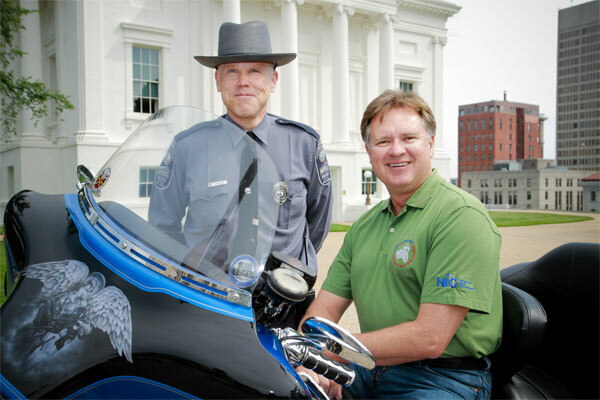 The ride culminated with a ceremony on the lawn of the Virginia Capitol to honor police officers who have lost their lives serving the people of Virginia. 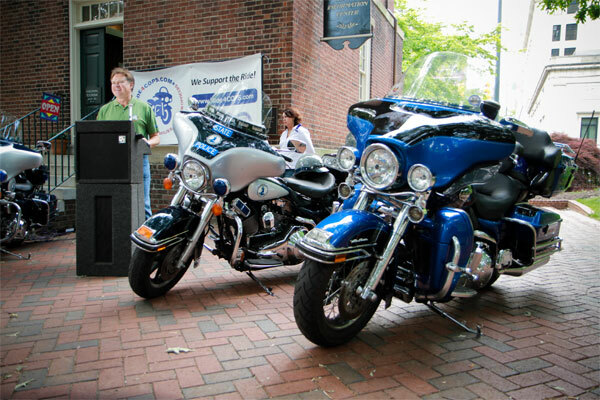 Ride4Cops founder Harry Herington and other VIPs honored police officers who have lost their lives serving the people of Virginia. 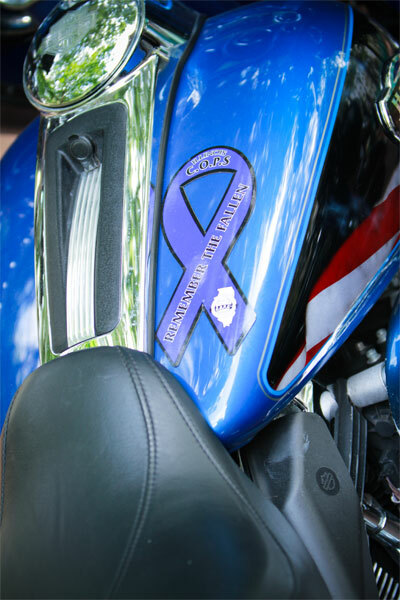 Herington also presented donations to Virginia Concerns of Police Survivors (C.O.P.S.) Chapter. 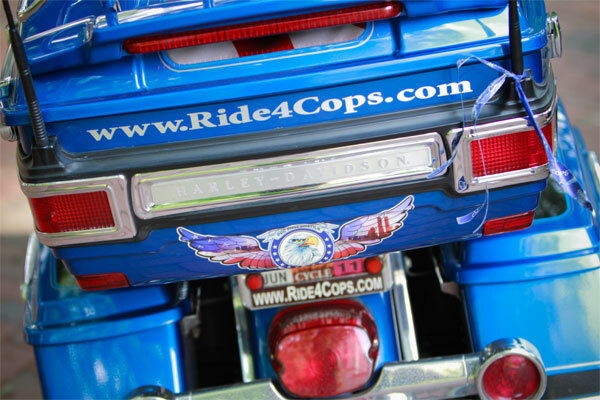 Click on the images below to view photos from the Virginia Ride4Cops event. 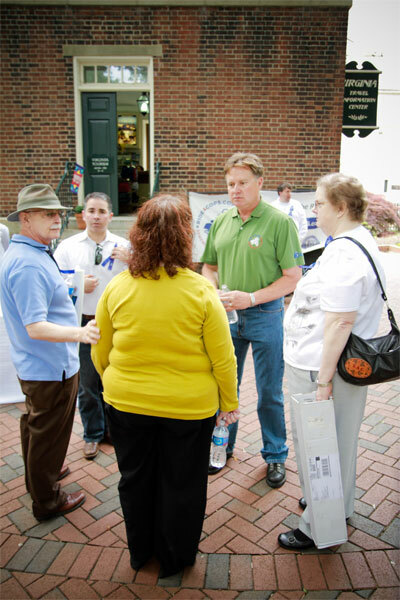 Feed More is the umbrella organization of the Central Virginia Food Bank, Meals on Wheels Serving Central Virginia, and the Community Kitchen. By joining forces as FeedMore, we can more efficiently and effectively serve people in need and fill the food gaps that exist across our community. Food and fund drives are a simple but powerful way to gather needed foods and helpful cash contributions to sustain ongoing hunger relief efforts across our community. Food Drive hosts can encourage donors to contribute the items that are most urgently needed: peanut butter, canned tuna, salmon, chicken, and ham; canned fruits and vegetables; hot and cold cereals; pasta and rice. A blood donor at Virginia Blood Services (VBS) is a special kind of volunteer. By committing about an hour of your time, you can donate a gift more precious than time or money: the gift of life through blood. One donation of blood can help save up to three patients' lives. VBS provides blood services to hospitals and dialysis centers throughout central Virginia and beyond. We are fortunate to live in a region where sophisticated medical facilities and transplant programs are available; however, these programs require many blood donations. 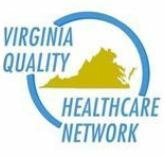 VAHQ is an organization composed of professionals directly involved with healthcare quality. Its membership is open to those in the areas of Risk Management, Quality Improvement, Quality Assurance, Case Management, Utilization Management, Medical Records, and others involved in the quality arena. 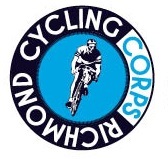 Richmond Cycling Corps is the nation's premier inner-city youth cycling/outreach program. RCC is a prestigious non-profit organization that provides leadership and personal development to Richmond's urban youth through the sport of cycling. The corps connects highly qualified staff and volunteers to provide cycling opportunities, outreach, academic support, and fitness towards our youth participants in a knuckles-down, all for one environment. Remote Area Medical® (RAM) provides medical care through mobile clinic events in under served, isolated, or impoverished communities. 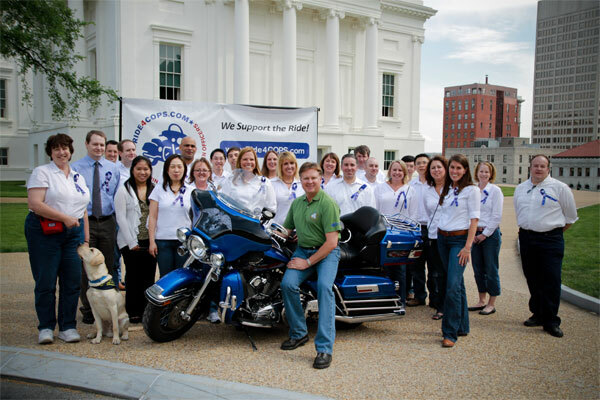 Most clinics provide general medical, dental, vision,preventive care, and education in Virginia, throughout the U.S. and around the world. RAM empowers, inspires, and leads communities to serve those in need in their own backyard and is committed to providing all services and support at no charge to the patients.